Sean Joseph and Doug Pollock were recognised last night at the club AGM for the time and effort they have contributed to the Mighty Easts over many (successful) seasons. The club is grateful for all the work they have done and the work they will undoubtedly continue to do for Easts. Well done again Sean and Doug !!! The club also has a new Chairman and Club Captain, Doug Pollock has passed his chairmanship on to Clinton Johns and the people’s champion Andy Burt has relinquished his Club Captain role to his deputy Ben Fawkes. Thanks to Doug and Andy for their contribution and welcome aboard to Clinton and Ben !!! Here is our latest Annual Report and Financial Statement which will be presented at the 24th Annual General Meeting of the Eastern Suburbs Cricket Club, at the Kilbirnie Park Clubrooms on Monday 28th August 2017, at 7pm. EASTS NEW ZEALAND CLUB CHAMPIONS FOR SECOND YEAR RUNNING !!!!!! 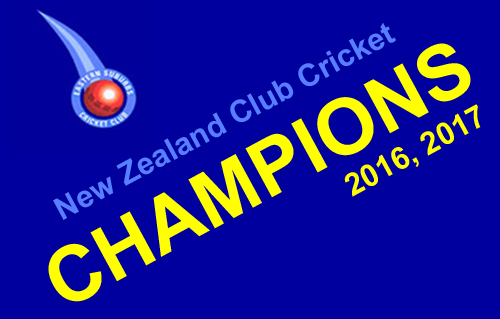 The 23rd anniversary of the NZCT National Club Cricket Championships is once again being held at Cornwall Cricket Club from Tuesday April 4th to Sunday April 9th 2017. 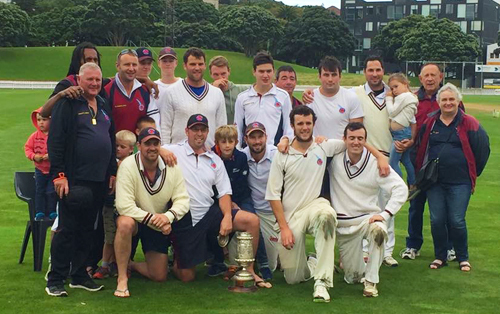 NCCC sees the champions teams from each of NZC’s major associations come together in a round robin battle to be crowned National Club Cricket Champions. The 23rd edition will feature Mount Maunganui (Northern Districts), United (Central Districts), Eastern Suburbs (Wellington), Old Boys Collegians (Canterbury), Takapuna (Auckland) and Albion (Otago). 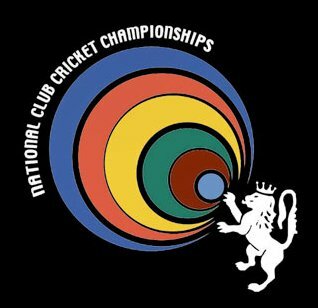 This will be our 8th appearance at the National Club Championships previously attending in 1995, 2002, 2003, 2012, 2013, 2014 and 2016. Last year we won the title of National Club Champions for the first time and want to repeat the process this year. The Easts players selected to participate are Jack Anderson, Matt Ansell, Fraser Colson, Peter Connell, Lance Dry (c), Andrew Fullerton-Smith Luke Georgeson, Jamie Gibson, Lauchie Johns, Ricky Joseph, Jimad Khan, Ben Orton, James Price and Jed Wiggins. Won by 6 wickets and crowned NATIONAL CLUB CHAMPIONS 2017 !!!!!! Jamie Gibson - Player of Championship for two years running 2016-2017 !!!! 2017 PEARCE CUP CHAMPIONS !!!!! & COOKSHIELD back in the cabinet for another year !!! 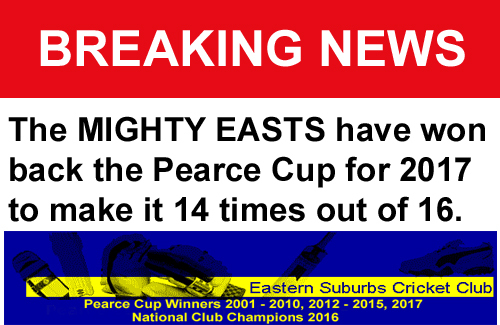 The MIGHTY EASTS PREMIER TEAM were top qualifiers to play in the PEARCE CUP FINAL They played against Karori in the 3 day final at the Basin Reserve on Friday 31st March to Sunday 2nd April 2017. Easts have made it to the Pearce Cup Final 16 times since 2001/2002 and have won the trophy in 13 of those finals. Lets make it 14 wins !!!! They have also defended the Cookshield for another year. We have held this trophy since 2008 after 53 challengers in home and away 2 day games. Fantastic performance once again to the MIGHTY EASTS PREMIER TEAM !!!. Refer to the Cookshield page for details of challenges. Karori where restricted to 146 runs all out with Peter Connell taking 3-33 and Lance Dry 3-19. 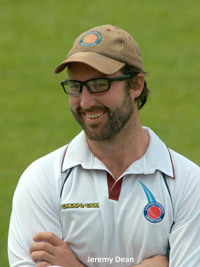 A quick start by openers Jeremy Dean 55 and Ben Orton 38 set the platform with an opening partnership of 70 runs. Easts got to 148-3 for a 7 wicket victory with 18 overs to go. 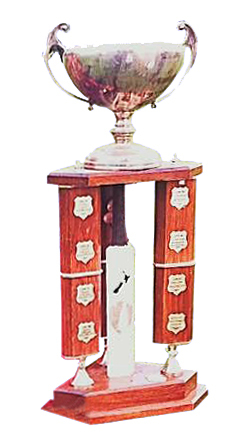 Easts will now have the opportunity to defend their National Club Cricket title in March/April this year. Well done Lance and THE MIGHTY EASTS TEAM !!!!!!! Gordon Dry has been the backbone of the Eastern Suburbs Cricket Club since it was founded in 1993, when Kilbirnie and Midland St Pats Cricket Clubs came together at Kilbirnie Park. Gordon’s limitless time for the club has no clock, fielding late night phone calls regularly. The inevitable result of his contribution has been the success achieved by the Club in taking home the Cricket Wellington Club Championship 14 times out of the 17 years Gordon has been Club Manager. If this achievement wasn’t significant enough, his work load includes single handedly producing the club’s annual report, and being the club’s Treasurer for the past 21 seasons. He also managed to find time to project manage the extension of the clubrooms and redevelopment of the changing rooms and shower facilities. Gordon’s son, Lance, knows all too well how his father’s passion for the game transformed Eastern Suburbs Cricket Club. 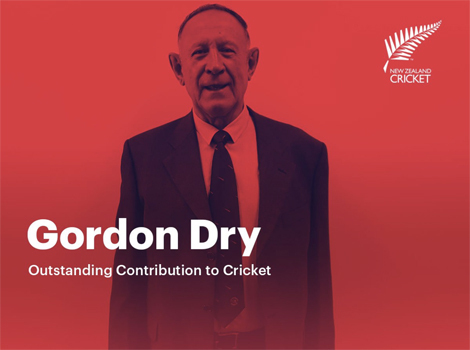 Gordon Dry is the recipient of the 2015/16 Outstanding Contribution to Cricket award. The New Zealand Cricket award recognises an individual who has made a significant contribution to community cricket over many years. The annual Outstanding Contribution to Cricket award is open to major associations/district associations/clubs/schools with the recipient having demonstrated commitment and passion towards community cricket for several years. For the 16th year in a row the Easts Premier Men team have qualified for the 2 day "Rothbury Wilkinson PEARCE CUP COMPETITION" for 2017. The first game is against Johnsonville followed by Upper Hutt, Taita, Hutt Districts and Karori. 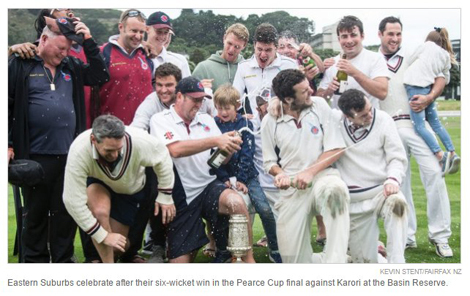 Current Pearce Cup champions Onslow missed the cut this year. Best of luck lads for another successful campaign. 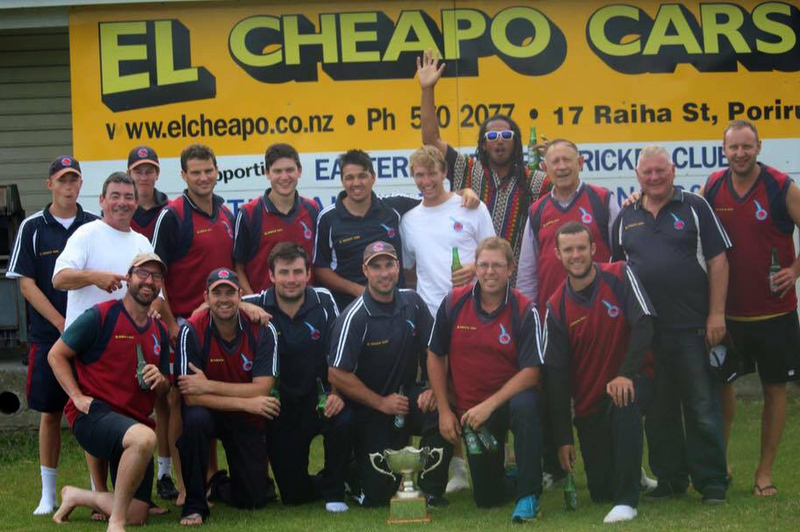 The One Day Ewen Chatfield Trophy Final will be played against Karori on Sunday 29th January 2017 at Kilbirnie Park. The Cook Shield for 2 day home & away games is also to be defended and starts with the first game against Johnsonville. Currently undefeated after 48 challengers. Today the Wellington A team wrapped up the National Provincial A tournament at Lincoln with a game to spare. The only unbeaten side, the team included four Easts guys - Fraser Colson, Jamie Gibson, Lauchie Johns and Lance Dry (Manager). Congratulations - well done guys!! Bringing in Lance Dry at this level has been great. He has been winning games of cricket and trophies for a long time now so having someone of his experience coaching the players has been immense. The Wellington A programme and resourcing is expanding every year and it’s pleasing to start to see the benefits of this. 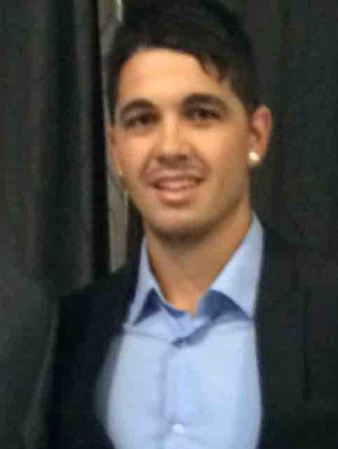 Your Club is pleased to usher in the New Year by welcoming to the fold former Central Districts representative and Wellington Firebirds all rounder, B J Barnett. B J’s cricket in recent times has been hampered by injury but he has had the necessary corrective surgery and is now feeling fit and ready to get back into it on a serious basis. At only 27 years of age and with 6 First Class games and 2 List A games in his CV, B J is wanting to re-establish his cricketing career – firstly by gaining some confidence and form for his new Club. If anything more flows from that down the track then well and good, but his first priority is to work hard on his game and establish himself as a consistent performer for his new Club. Welcome aboard the Mighty Easts B J.
Congratulations to Jeremy "Deano" Dean as he is now Eastern Suburbs highest run scorer for our club in Wellington Cricket Premier competitions since 1993 when the club was first established. 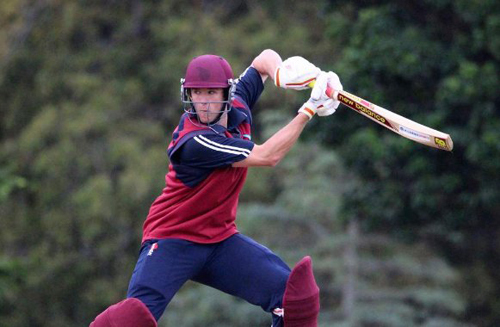 He has now surpassed Scott Golder’s previous record of 5,306 with his 47 not out against Wellington U19’'s. The new record is now 5,336 runs with many more to come this season.